Setting entry and exit timing for text and other graphic animations is one of the most important aspects of adding overlay motion graphics on Typito. So we were not surprised to note that this action was one of the most frequently executed ones in a video editing session on the tool. That’s one of the important reasons we decided to relook at the current experience and explore ways to help our creators sift through the action fast and easy. 1. Finer controls: Provide the user much better control to choose entry and exit frames for animations. 2. Intuitive experience: Give an interface that’s more intuitive compared to the current In / Out buttons. We released the new version of timeline editor for graphic animations today after a week long beta testing. We really hope you like it! 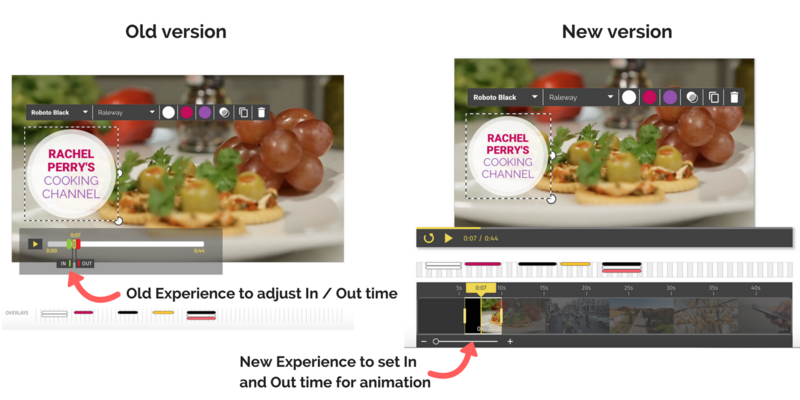 We have created a small video to give you a hang of the new timeline editing experience.